Famed landscape architect designed over 700 gardens in U.S. Associate Librarian Jane Verostek will present "Fletcher Steele: One Landscape Architect's 60-Year Influence on New York" at Researching New York 2016: The Conference on New York State History at SUNY Albany on November 17. During his lifetime, Steele (1885-1971) designed more than 700 elaborate gardens in New York and throughout the United States. Steele's garden designs were greatly influenced by extensive trips he took to visit gardens in Portugal, Spain, Italy, France, Germany, England, Russia, Norway, China and Haiti. The Fletcher Steele Manuscript Collection was donated to the College of Environmental Science and Forestry in 1974 by the Upstate NY Chapter of the American Society of Landscape Architects (ASLA). 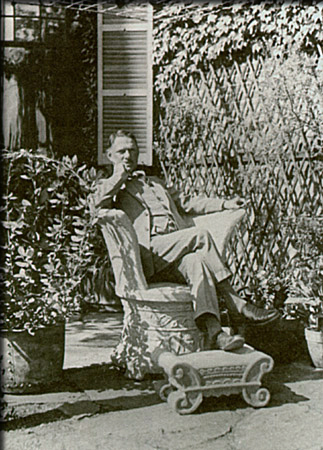 The collection provides detailed information on his properties and includes original nursey orders, Steele's appointment books, 300+ drawings and plans for client gardens, photographs of Steele's gardens throughout their creation, Steele's scrapbooks from his world travels and Steele's personal collection of landscape architecture books.